Teresa Ehnert serves as Arizona’s Bureau Chief of Public Health Emergency Preparedness, which resides within the Arizona Department of Health Services. Her primary responsibility is directing the planning, development, implementation, coordination, and evaluation of Public Health Emergency Preparedness programs. She is also the Department’s Continuity of Operations Coordinator. Teresa facilitates the coordination of state planning and regional committees on preparedness activities with Local Health Officers, Indian Health Services, Tribes, County Health, Hospitals, Community Health Centers, Poison Control, Long Term Care, other allied health organizations, and many emergency response partners. She oversees those programs that are designed to enhance planning and response to public health emergencies for the state of Arizona. Teresa was born in Fargo North Dakota and relocated to Arizona in 2005, when she joined the Arizona Department of Health Services. Prior to her role at the Department of Health Services, Teresa was a Chief Master Sergeant in the Air Force completing a career of almost 27 years. She earned her Masters Degree in Management from the University of Mary, Fargo N.D. Teresa is a member of the Arizona Department of Education Advisory Board, the Statewide Access and Functional Needs taskforce, the Day Treatment Agency consortium, the National Pediatric Disaster Coalition Conference planning committee, and Coyote Crisis Collaborative (a state health care coalition). Robert Evans is the Advisory Council Chair of the Arizona Pediatric Disaster Coalition (APDC), The APDC, which advocates for Arizona’s 1.6+ million children during disasters, identifies pediatric gaps in disaster management, helps healthcare facilities prepare to respond effectively in times of disaster, and minimizes recovery efforts through prior planning. Mr. Evans is no stranger to working effectively with diverse groups and challenging initiatives, having held government and private sector positions in Public Health and Healthcare during the past 40 years. Currently, Mr. Evans is the Network Manager for Safety & Emergency Management at HonorHealth, a non-profit health system serving 1.6 million people in the greater Phoenix, Arizona area. His team of professionals supports a network that encompasses five acute care hospitals, outpatient surgery centers, a cancer center, clinical research, medical education, two foundations and community services with approximately 10,500 employees, 3,700 affiliated physicians and 3,100 volunteers. Dr. Ann Negri is the Deputy Medical Officer, Director Medical Health Services located in Phoenix, Arizona and has psychiatric /medical management responsibilities for Mercy Maricopa Integrated Care. Dr Negri graduated from Temple University School of Medicine and completed her Adult Psychiatry residency at The University of Pittsburgh Health Sciences Center and Western Psychiatric Institute and Clinic. She is Board certified in Psychiatry. Dr Negri practiced in both private and community psychiatry for 32 years in Pennsylvania and Arizona. She served as a Medical Director and CMO for a provider network organization for the severely mentally in Maricopa county for 9 years. She held academic positions at the University of Pittsburgh School of Medicine and Medical College of Pennsylvania and current teaching position at University of Arizona College of Medicine. 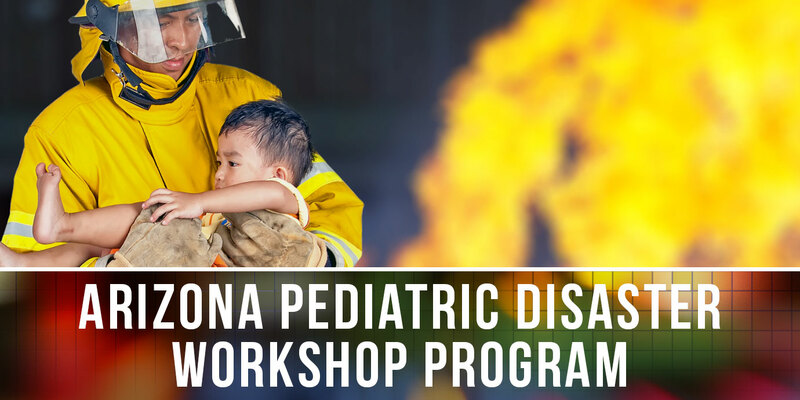 Dr. Negri is active in several committees and projects and serves as a member of the Arizona Statewide Task Force for the Prevention and Treatment of Substance Exposed Newborns. She also oversees the intensive care management pregnancy program for the severely mentally ill for Maricopa County. Dr Negri is both a Fellow and Distinguished Fellow of the American Psychiatric Association since 2004. The American Psychiatric Association gave her the Distinguished Lifetime Fellow award in 2016. Dr. Sue Moravec currently serves at Chief Pharmacy Officer and AVP of Pharmacy Services for HonorHealth. In this role, Dr. Moravec oversees pharmacy operations for 5 hospitals, 10 infusion clinics and retail pharmacy. Most of Dr. Moravec’s career has been centered on hospitals. However, she spent several years providing executive leadership in cardiovascular & pharmacy research. Professionally, her passion is to ensure every patient is receiving the best pharmaceutical care through pharmacy innovation and center of excellence pharmacy practice. Dr. Moravec is a second generation native Arizonian with deep family roots in rural town Arizona whose favorite activity is international travel. In her free time Dr. Moravec volunteers as a church youth group leader and on weekends can be seen volunteering at John C Lincoln spiritual care. 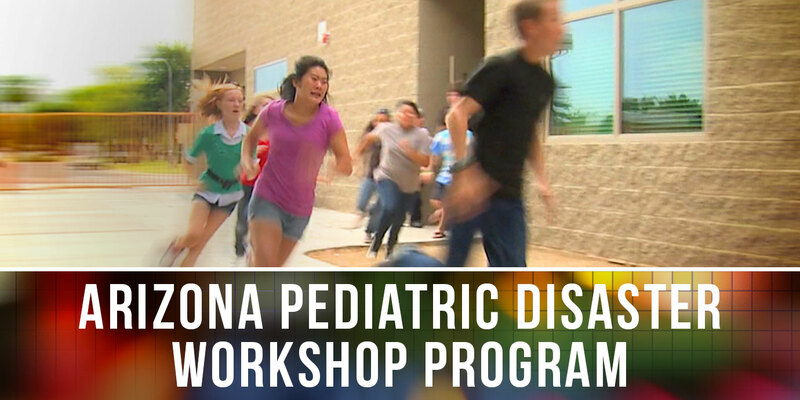 Chief or Office of Injury Prevention, Bureau Women’s and Children’s Health, Arizona Department of Health Services. Ms. St. Mars has 30 + years of professional experience that includes EMS, emergency nursing and injury prevention. 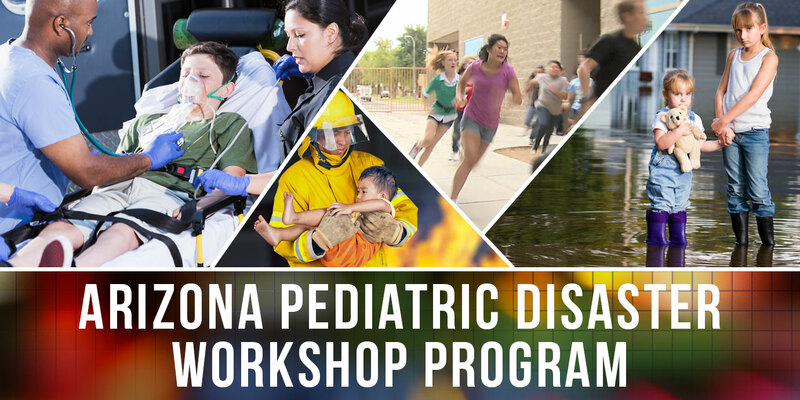 As Chief of Arizona’s Office of Injury Prevention within the Department of Health Services, she oversees 4 Federal Grants that includes EMS for Children, manages 7 programs with a staff of 5. She has a deep appreciation for building relationships and networks that support nursing and the health and safety of Arizonans. With a focus on eliminating duplication of effort, she is a connector of people, ideas and resources across all communities that is inclusive of tribal and rural. 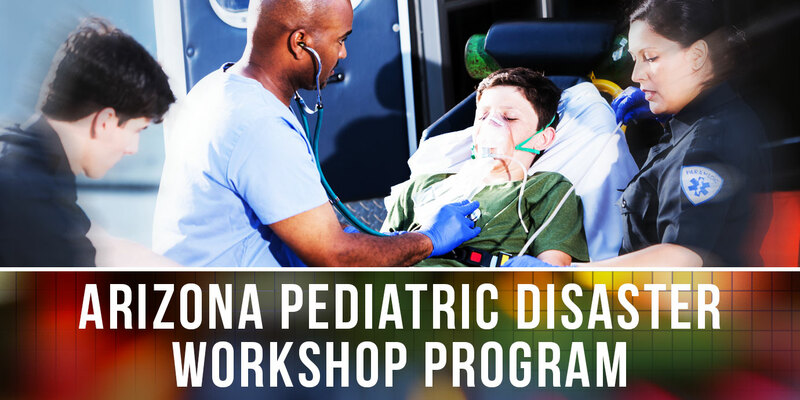 Under her leadership, Arizona established Pediatric Prepared Emergency Care- a process that verifies the everyday pediatric readiness of emergency departments. Currently, she is working with law enforcement agencies on the implementation of naloxone. Tomi earned her Master’s degree in Nursing from the University of Arizona. In 2007, Tomi was inducted into the Academy of Emergency Nursing. In 2015, Ms. St. Mars was selected as one of 25 Public Health Nurse Leaders by the Robert Wood Johnson Foundation. 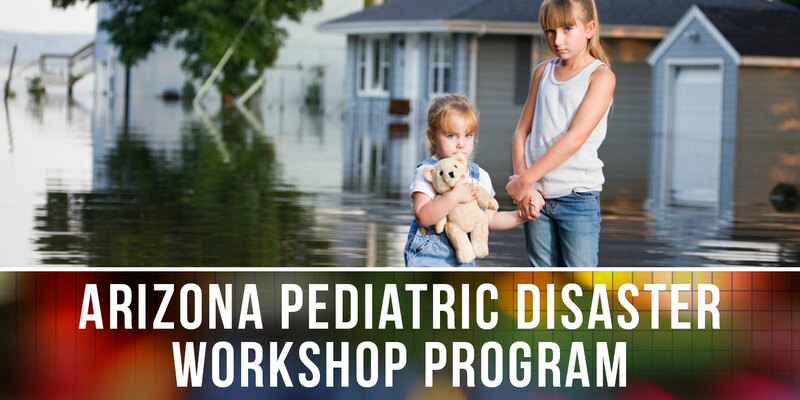 Assistant Professor of Pediatrics at Baylor College of Medicine, an Adjunct Faculty to the Texas A&M Engineering and Extension Services, and the Domain Lead for the National Emergency Medical Services for Children Innovation and Improvement Center Cooperative Agreement in Disaster Preparedness. He graduated from the University of Texas, Medical School at Houston in 2005, and did prior graduate work at Columbia University in New York. He is certified in General Pediatrics Emergency Medicine by the American Board of Pediatrics. He serves as a representative to the board of the Southeast Texas Regional Advisory Council and served as the Co-Chair for the Intermountain Disaster Preparedness Center (Pediatric Advisory Committee), Executive Committee member to UT-1 Disaster Medical Assistance Team, and physician to the Utah Department of EMS (Pediatric Strike Team).